Do you own a Big Shot? I don't know what I did before I had mine! I absolutely LOVE it and can't imagine going back to cardmaking or scrapbooking without it. 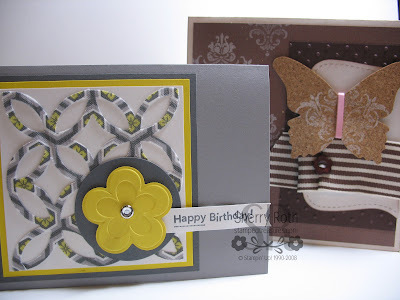 I had a few customers ask if I'd do a Big Shot class to show them how to use the different types of dies, embossing folders, texturz plates etc. You ask and you shall receive. It has been scheduled for Wednesday April 21st at 7pm. Even if you already know how to use all those things, you will still want to attend this class. We are creating projects using all sorts of mediums. 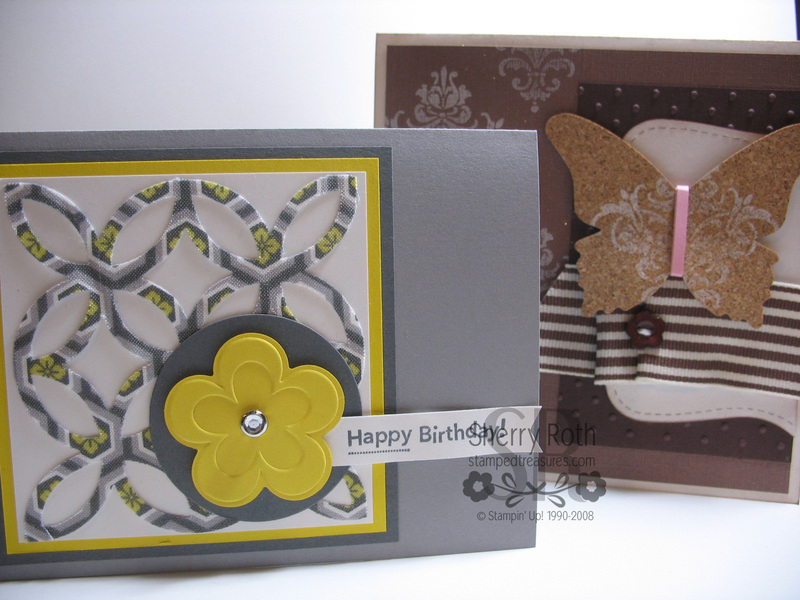 These are two of the cards we will be making, one incorporates cork and the other fabric. I've been having so much fun planning these that we may end up making more than 3 projects! If you've purchased the Big Shot from me - the class fee for you is only $5! If you don't own a Big Shot (why not?!) or have purchased it elsewhere - the class fee is $15. If you purchase the Big Shot that night or between now and then - your class is FREE! If you are out of town - I will send you all the precut supplies with instructions to complete the projects. Please RSVP your attendance by April 19th.